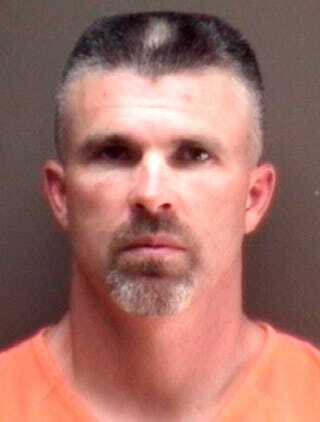 Former MLB outfielder Chad Curtis, convicted in August of six counts of criminal sexual conduct against three teenage girls, was sentenced today by a judge in Barry County, Mich., to seven to 15 years in prison. The penalty is the maximum allowed by Michigan law for Curtis's conviction. Curtis, 44, was working as a weight room trainer and football coach at a Michigan high school in May 2012 when two 15-year-olds and a 16-year-old accused him of touching them inappropriately. After a week-long trial, a jury needed just a few hours to find him guilty of second-, third-, and fourth-degree criminal sexual conduct. It definitely came into my mind that maybe they weren't too crazy about some of the things that I was doing-you know talking to my teammates about religion. It was some music being played and there was a lot of foul language and I'm a guy that just you know I don't really care to hear that and I know there's other guys that are the same way and we have some kids in our clubhouse, too, and I said, you know what, this isn't right, it's not good.